Walk up the school drive and go into the second demountable classroom block on the right. As you go in, turn to the right. 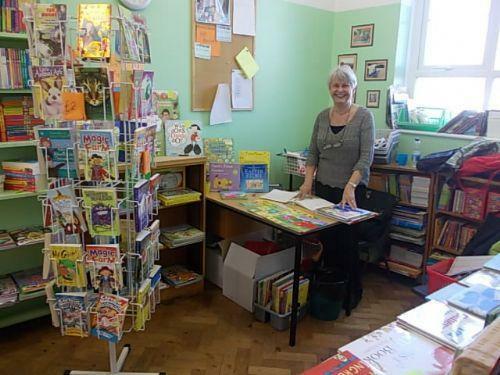 If you would like to volunteer in the bookshop, please come and see Ann. You'd be most welcome!